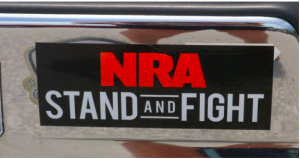 The National Rifle Association (NRA) broke a 15-year fundraising record in March with a total of $2.4 million being donated to the organization. According to the Miami Herald, the donations to the National Rifle Association’s Political Victory Fund were made from Mar. 1 to Mar. 31, the first full month after the tragic Marjory Stoneman Douglas High School shooting. March’s fundraising amount is $1.5 million more than what was raised in March 2017 and $1.6 million more than it raised in February 2018.